Another "revelation" that anyone paying attention should have already known. Feel free to mock me again for my "conspiracy theories" though. 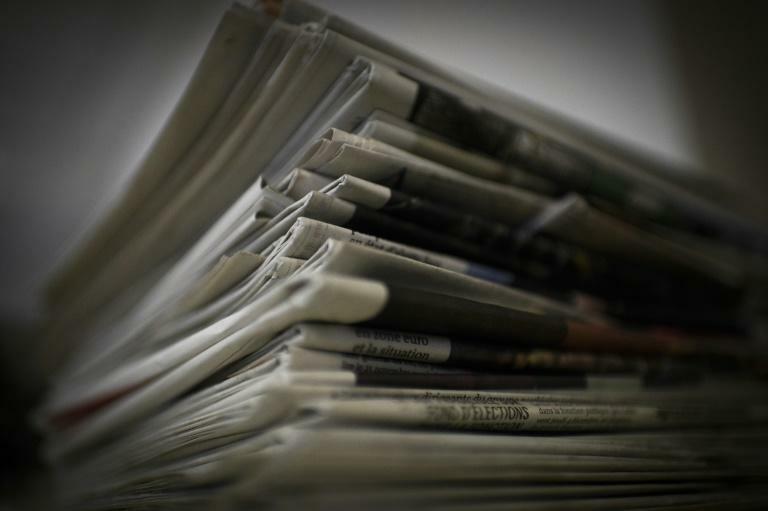 More than 1,400 cities and towns across the U.S. have lost a newspaper over the past 15 years. In other words, "Don't even expose yourself to other opinions or information. Just do as we say." He is now a United States Congresswoman named Alexandria Ocasio-Cortez. Obviously there is a hate Trump bot working hard for these papers. If any new media is state run it isn't Fox. But why say State run. DNC run is the title. Fox is under attack on all fronts. The network itself is subject to accusations of beitn "state run,". There was a hit peice in the New Yorker. Which was cited by the DNC when they announced Fox NC would not be allowed to cover the debates. Then there are the personal attacks on the personalities. Someone went back a number of years to find stuff Tucker Carlson said on the Bubba the Love Sponge radio show. Took the words out of context and has used them to stir up activists threatening to boycott sponsors etc. In the end, you get fired, you lose your job. Nobody defends you. Your neighbors avert their gaze as you pull into the driveway. You are ruined. And yet, no matter how bad it gets, no matter how despised and humiliated you may be, there is one thing you can never do -- one thing that is absolutely not allowed. You can never acknowledge the comic absurdity of the whole thing. You can never laugh in the face of the mob. One side is deadly serious. They believe that politics is war. They are not interested in abstractions or principles, rules or traditions. They seek power, and they intend to win it with whatever it takes. If that includes getting you fired or silencing you, or threatening your family at home, or throwing you in prison, okay. They know what their goal is. If you are in way, they will crush you.